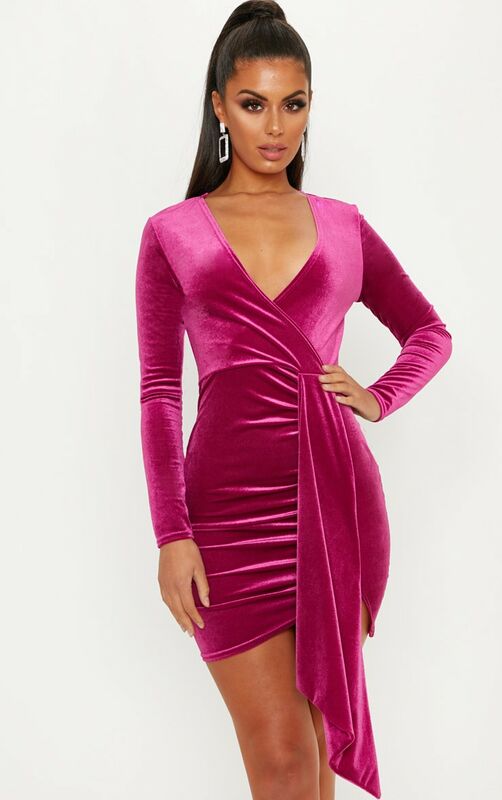 A little luxury goes a long way and this bodycon dress is everything we are loving for the party season. 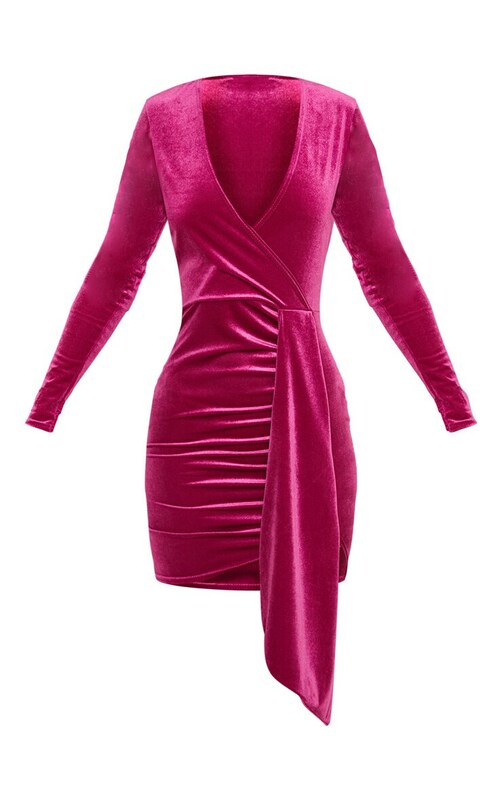 Featuring a hot pink velvet material with a low neckline, a figure-hugging fit and a draped design. Team this with some statement earrings, sky-high heels and clutch to complete the look.